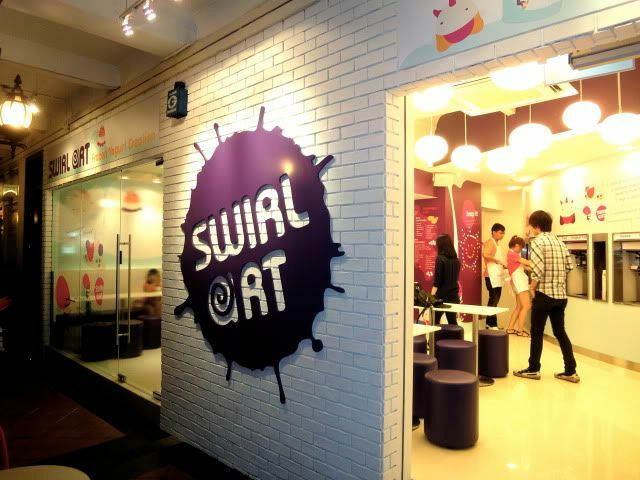 Swirl Art now has TWO outlets! 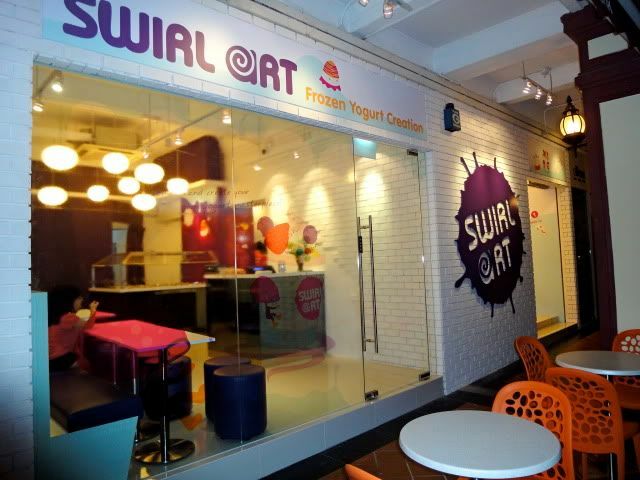 The Liang Seah Street outlet is super well located cause the whole street is full of awesome lunch/dinner places, so after eating there you can... drop by Swirl Art for yoghurt! 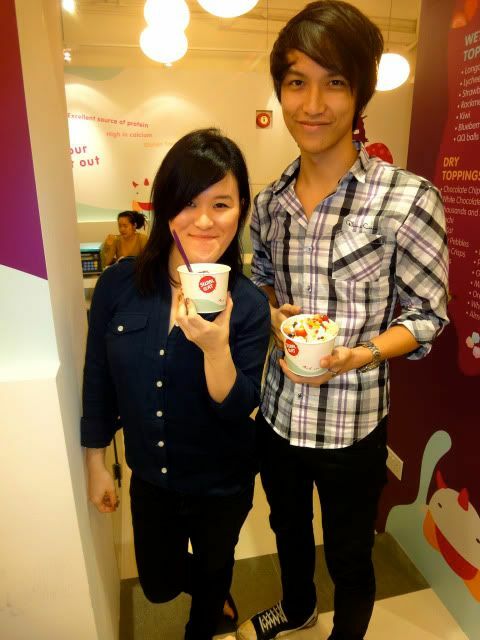 (: Normal desserts make me feel stuffed but froyo (fro-yo: frozen yoghurt) is just so light and yummy! 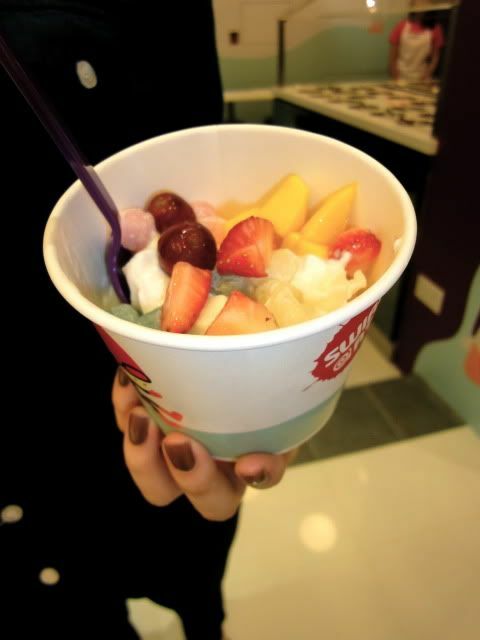 Swirl Art has lots of yoghurt flavours, which range from Original, Mango, Green Apple and even Caramel! 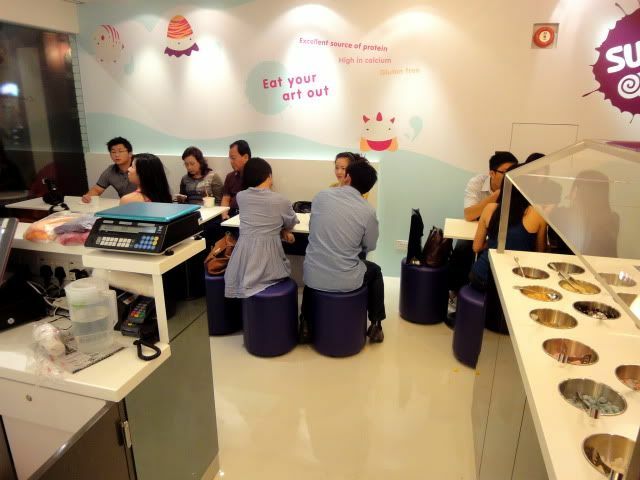 Plus they've also brought back the very popular Taro flavour to the Liang Seah outlet! 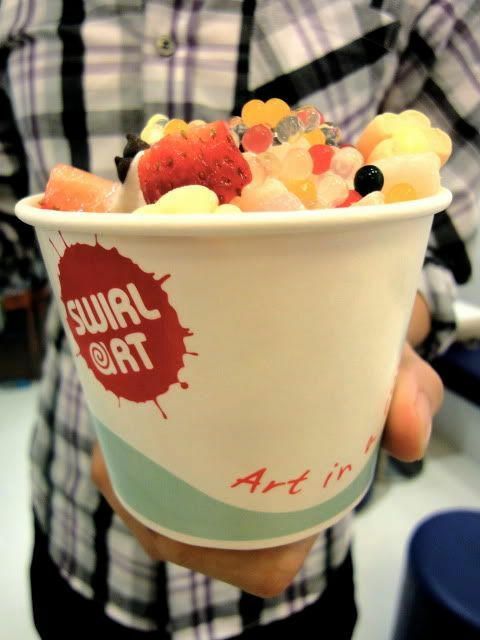 The best part about Swirl Art (besides yummy froyo) is that they charge by WEIGHT. 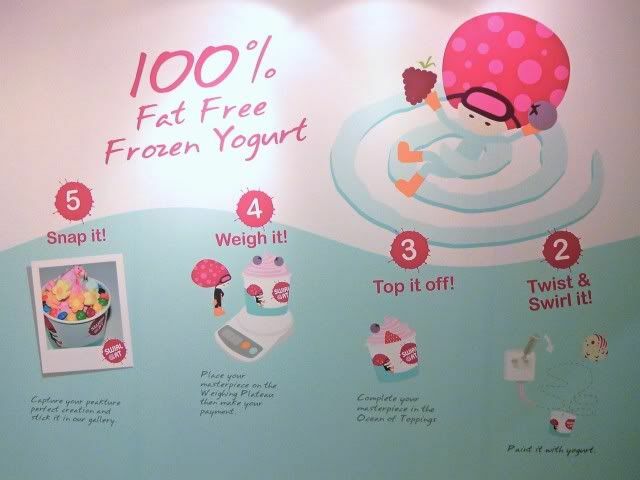 You can mix and match your yoghurt exactly the way you want it and only the final total weight will matter (: They charge $0.30/10grams. 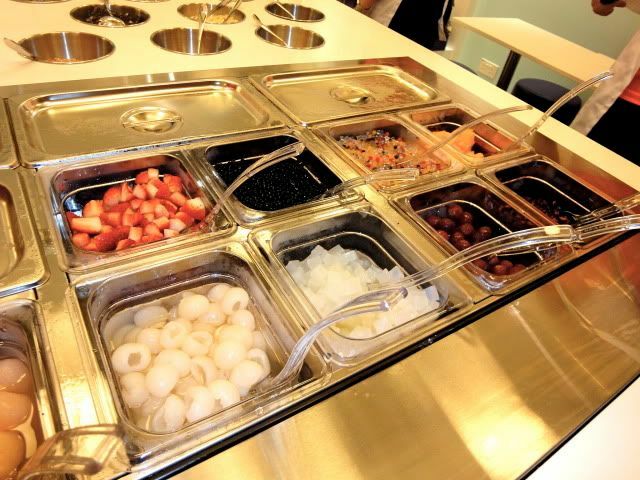 Super a lot of toppings! 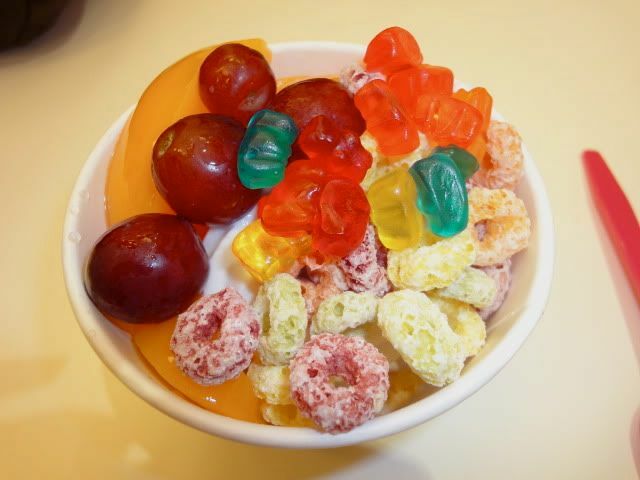 I love fruit toppings! My favourites would be peaches/strawberries/grapes, but probably most especially peaches. 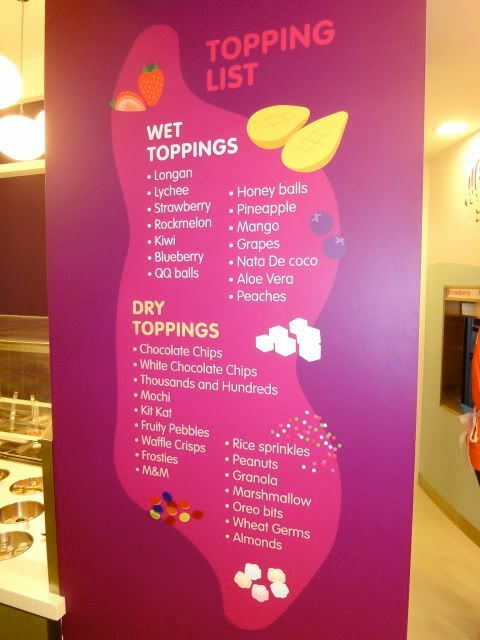 Only Swirl Art offers grapes as a topping! 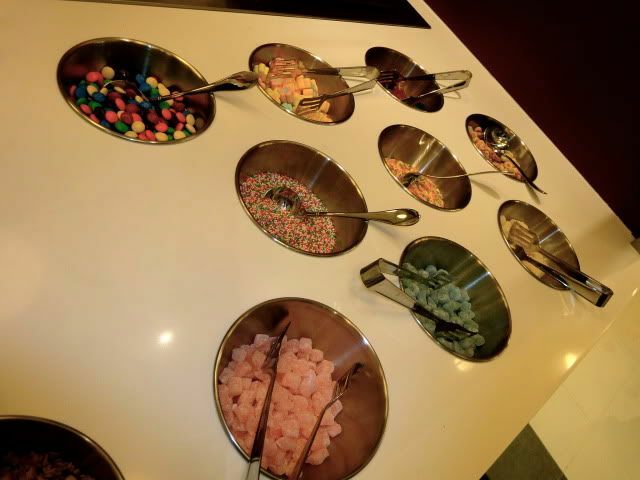 You know what the 3 coloured stone-looking toppings on the bottom right are? MOCHI! Specially imported from Korea cause everyone loves Mochi! 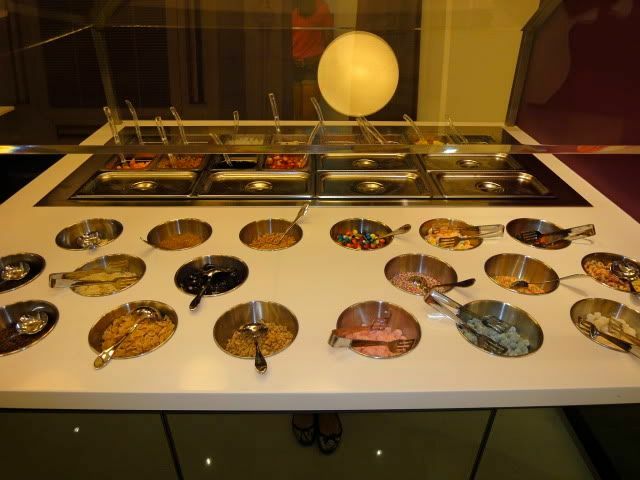 The toppings bar is an island, so you can walk around and choose your toppings easily! 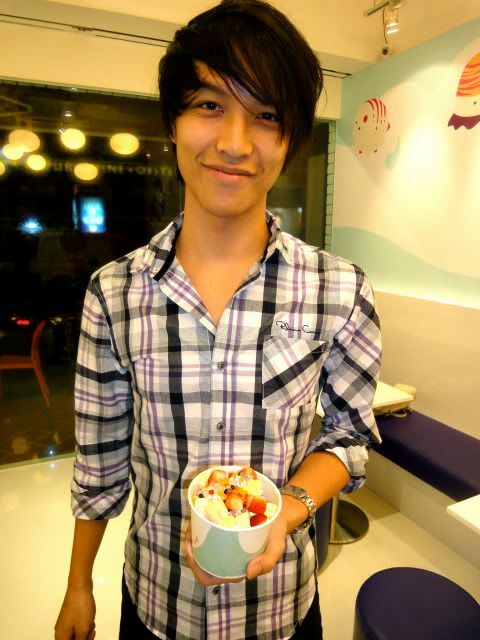 Haha Alaric's toppings colour combination is super fail. He got strawberries, mochi, marshmellows and the small ball thingys. Alaric and his friend Mingqi, who incidentally knew the Swirl Art owner as well. Here's her cup! She got mochi as well. Think her taste is quite similar to mine cause she got grapes, peaches and strawberries (majority fruits). I got peaches, grapes, gummy bears and Fruity Pebbles. 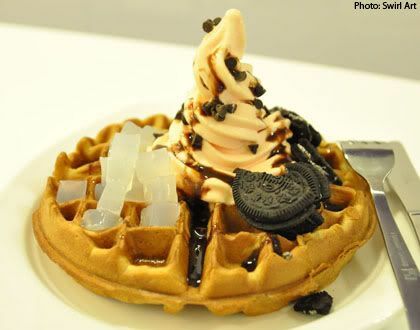 Besides yoghurt, Swirl Art also offers WAFFLES at its River Valley outlet! Waffles are made on the spot so they're warm and crispy, and come with the desired yoghurt flavour as well as 2 toppings! Swirl Art can also be found on BBM and WhatsApp, so add them! Those who them will get to know of exclusive promotions and news, which only they will get to enjoy! Okay Swirl Art's website has obviously been linked throughout this post, but I just want to say that their website is super cute so you gotta go take a look! 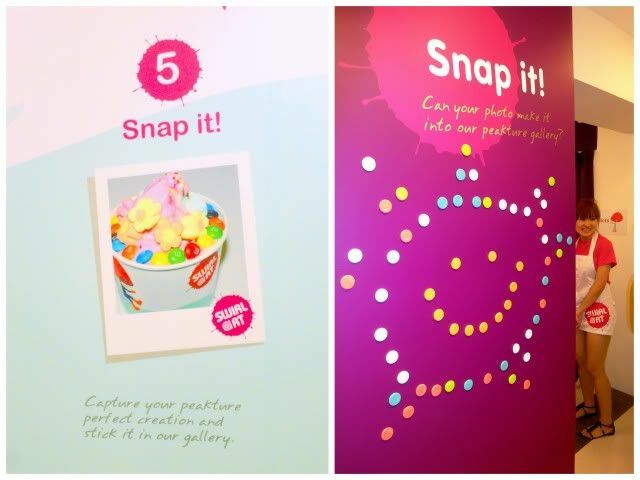 5 comments on "Swirl Art"
my fav yogurt store in sg!! Hey Sophie, can you recomend any good and cheap hotels to stay at in BKK? 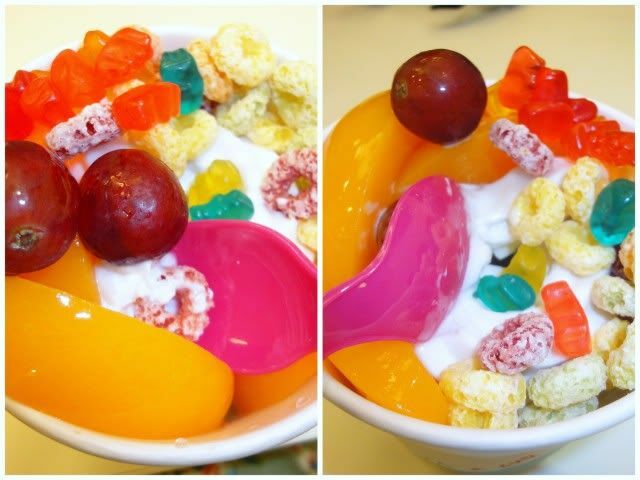 Sogurt has better yoghurt and grapes too! 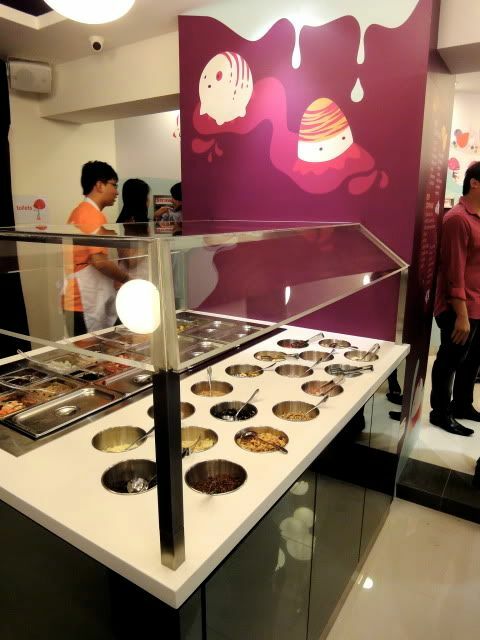 You should go check it out :) They have more toppings than Swirl art!